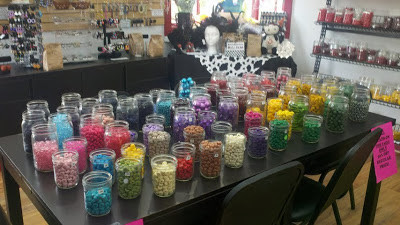 If you enjoy making necklaces, earrings, bracelets and other fun things with Beads, The Bead Farm is the perfect place for you! A big problem for those of us with younger kids when making beaded jewelry, is the mess that it makes, and the hazard for our kids to put small beads in their mouth. At The Bead Farm, do all of the work there so you don't have to stress! Join their mailing list for updates on when classes are held. You can also follow them on Facebook.